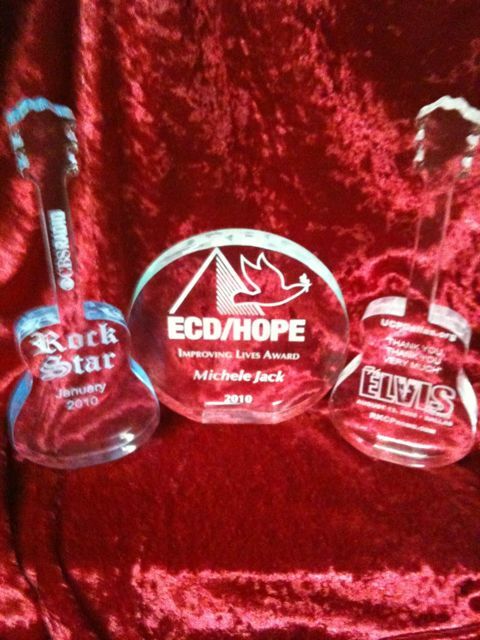 Custom acrylic paperweights make great awards. They can be easily personalized for programs and miscellaneous use. We’ve created several successful programs for a variety of clients. The middle one is a sample to show the green acrylic. The color is a little more expensive but worth it according to clients. There are several stock designs and custom designs have never been easier. Mold and die charges have been eliminated from this line. A setup charge remains but I have been known to waive the setup if the order is big enough. 🙂 Please excuse the limited picture quality, this was taken with my iPhone. I may replace it later but wanted to get it up right away.